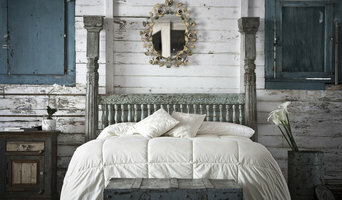 Bliss Home is an upscale furniture and interior design boutique. Come by and visit our showroom in Mandeville. Rivers Spencer Interiors is a New Orleans based luxury residential design studio and retail showroom. Rivers also designs a furniture collection which is bench made and hand finished by artisans in the City of New Orleans. Growing up in Jackson, Mississippi, Rivers learned the elements of classic, southern design which has served as her foundation in creating her own timeless style. Stepping into a home designed by Rivers is like stepping into both the past and present. You will see hints of 18th century walnut combined with white lacquer, gold leaf, and the patina of antiquity which create an interior that is both fresh and timeless. This style can be seen in her showroom on Magazine Street in her new hometown of New Orleans. She has taken an icon of New Orleans’ architecture – the double shotgun – and transformed it into a jewel box showroom featuring her own private label upholstery line and her own collection of furnishings that she designs with local artisans. Among these beautiful new pieces, you will find a carefully curated collection of 18th & 19th century European antiques juxtaposed with abstract fine art. The finished product showcases Rivers’ style which will always be… Timeless, Elegant, Tailored, Fresh. Handcraft Southern Colonial Furniture using 18th century joinery and traditional techniques. We use solid indigenous materials such as cypress, pecan, walnut, cherry, mahogany. Greg Arceneaux, has dedicated his life’s work to the preservation of our unique, colorful heritage. We use time-honored and tested designs with indigenous woods and the least amount of chemicals possible because we believe just as strongly in the preservation of our natural world as we believe in the renewal and preservation of our culture in Louisiana. Design and creation of contemporary functional art work (i.e. art furnishings). This work includes, tables, chairs, lighting and "Nixie" tube clocks. At Maison XXIV, we truly, madly, deeply care about design. We relish in the beauty of a lovingly curated interior, and the discovery of gorgeous gifts to delight those dear to us. We feel that surroundings created with joy and meaning bring harmony, balance and happiness to our everyday lives, and strive to showcase products that will achieve this philosophy. Designing a home that expresses our unique sense of self shouldn't be a luxury, but a necessity. At Maison XXIV, we want more than to make your house a home. We’re here to help you create an inspired, original haven - as treasured and distinct as you. My Name is Alex I'm 29 and was born and raised in south Louisiana. I founded Doorman Designs two years ago after graduating from college in Mississippi and returning to Louisiana and a job in New Orleans. Limited by a dismal post-graduate budget, I desired to furnish my 1880s apartment with furniture that embodied the charm and grit of the Crescent City. So, I decided to start making my own pieces. My first creation: a headboard crafted from an old growth cypress, five panel door salvaged from a house flooded in Hurricane Katrina. I inlaid the panels with ornate, 19th century ceiling tins to give the piece more character and history. From there I started to make and sell more headboards and eventually began designing lighting, coffee, and dining room tables. The materials I use are architectural salvage with an emphasis on reclaimed wood from New Orleans homes destroyed or damaged by Katrina. Growing up on the Gulf Coast, I know how much history is to be found in New Orleans’ architectural details. After Katrina, my heart broke seeing the city’s soul, flooded and ruined, and being torn down. I believe that each door, each window frame, and each piece of wood is a piece of the South that should never be lost, but saved. I like to think that I’m keeping their stories alive through my designs and furniture. Tired of mundane wood species from the USA? We use exotic rescued old growth Costa Rican hardwoods for furniture and artistic pieces. We particularly tend toward a 'Live Edge' design which we believe enhances the innate appreciation and reverence of our ancestors' basic resource: wood. It seems that many have lost touch with this seemingly prosaic material which we believe is one of our primal connections with Nature. "Touch wood...and wood touches you"
Our furniture and decor are made from Indian hardwood and iron that has been reclaimed from old buildings, preserving the long-lasting integrity of our wares and giving each piece a one-of-a-kind appeal. Sotre offers a distinctive retail experience of furnishings, interior design, custom linens, accessories and gifts. Sotre patrons benefit from the incomparable taste and extensive experience of the founders – professionals in interior design and styling. Retreat opened in December of 2010 offering products that are responsibly produced, manufactured, repurposed or reclaimed, promoting recycling on a retail level. Retreat Home & Lifestyle Resale Store features consignment home furnishings and accessories as well as retail products that we are committed to purchasing locally/nationally when possible, in order to support our local vendors and reduce shipping and energy costs. Retreat features a room dedicated to media entertainment for our customers to enjoy. It has a phono/CD/radio and TV set-up and outfitted with a terrific album collection. We felt this was a nostalgic way to create a real shopping experience. The room is an interesting way for shoppers to further enjoy their visit while at Retreat. The Design Collection & Interior Design services. The Design Collection consists of a well made line of furniture designed by Kathy with attention to the details of style, finish, and size. The Signature Collection can be customized to your specific needs and the KSI Home Collection for quicker shipping and a more affordable price range. Design services available as well . Jessica Mayhall is a decorative painter in New Orleans, Louisiana. For the last three years she has trained with Stephanie Jones in Memphis, Tennessee. While working with Stephanie, Jessica learned to transform furniture, accessories, walls, and floors with chalk paint®, milk paint, waxes, gold and silver leaf, and stencils. Jessica is passionate about thrift stores, DIY projects, and renovating her home with her husband. Platinum Decor is a design-driven wholesaler of American Modern home furnishings and accessories, manufactured primarily in the U.S.A. and Brazil. The Platinum Decor collection features pieces of modern design which incorporate curvature, color and texture. When placed in a contemporary home, a warm and inviting environment emerges. Start your research right here on Houzz. Read through professionals’ profile pages to find out important details, like how long a manufacturer has been in business. Look at reviews by design professionals and find out which furniture makers offer the best customer service. Are you looking for condo-size furnishings or working with an oddly shaped room? Necessity is the mother of invention, so opt for a custom piece made by an experienced Louisiana furniture maker. Here are some related professionals and vendors to complement the work of furniture & accessories: Interior Designers & Decorators, Artists & Artisans, Kids & Nursery, Closet Designers and Professional Organizers, Bedding & Bath. Take your time on any buying decisions. If contemporary is your style, don’t buy something traditional because it’s on sale. 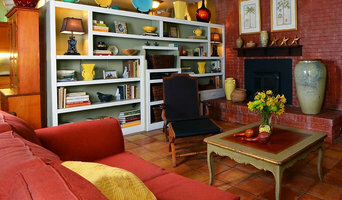 Many Louisiana home furnishers offer interior design consultations or room planning guides to get you started. Whether you decide to work with a home decor specialist or to become your own expert, it’s important not to rush the furniture-buying process. Visit plenty of Saint Benedict, LA showrooms and stores so you can feel comfortable with your purchase. Find furniture and accessories manufacturers, showrooms and retailers on Houzz. Narrow your search in the Professionals section of the website to Saint Benedict, LA furniture and accessories, then choose the nearest metro area for showrooms and retailers. Or you may want to look through Louisiana photos to find designs you like and contact the furniture manufacturers and showroom galleries directly.